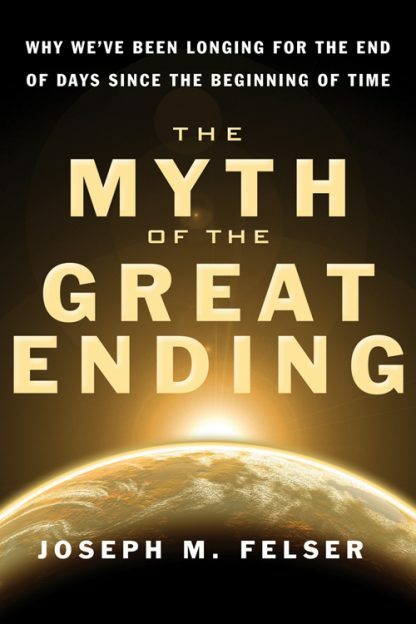 Red Wheel ∕ Weiser Online Bookstore | The Myth of the Great Ending: Why We’ve Been Longing for the End of Days Since the Beginning of Time by Joseph M. Felser, Ph.D.
"Felser peels through layers of belief and mythology to reveal nothing less than the underlying truth of reality creation." -Susan M. Watkins, author of Conversations with Seth and What a Coincidence! From Christian believers in the Apocalypse and the Rapture to New Age enthusiasts of prophecies concerning the year 2012, Doomsday lore has been a part of culture, a myth that colors how we perceive the world. Why do we remain obsessed with Doomsday myths even when they fail to materialize? What if we haven’t recognized the true message of these myths? Blending history, psychology, metaphysics, and story, philosopher and author Joseph Felser explores the spiritual questions raised by these enduring myths. Felser suggests that our obsession with “The End of the World” hides a repressed, healthy longing for reconciliation with our inner and outer worlds--with nature and our own natural spirituality. He urges us to recognize and act upon that longing. When we begin to listen to nature’s voice and pay heed to our own dreams--including visions, intuitions, and instinctive promptings--the greatest revolution in all history will unfold. We can create a future of our own choosing, a beginning rather than an ending. Joseph M. Felser, Ph.D. earned his doctorate in philosophy from the University of Chicago and is an associate professor at Kingsborough Community College/CUNY in Brooklyn, NY. He is the author of The Way Back to Paradise: Restoring the Balance between Magic and Reason. His work appears regularly in scholarly journals and he was invited to give the Keynote Address at the world-renowned Monroe Institute’s 20th Professional Seminar in March 2006.